An obscure and long-forgotten doom/gothic band from Vizcaya. They managed to record and publish only one (...And Other Reasons, 1995) album, which I guess achieved no commercial success. Very-very sad and beautiful music, and female vocals sometimes resemble The Cranberries, maybe because of the accent. 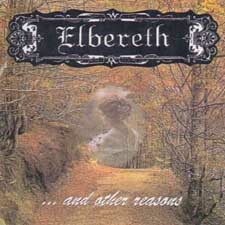 Recommended for fans of early Theatre Of Tradedy, though Elbereth has no grunts and the guitars are a lot less heavier.